Rep. Don Beyer called Northam's initial admission, and then denials, that he was in a racist photo "very bizarre." Northam later acknowledged he wore blackface at a separate event in the 1980s. Beyer tells CBS' "Face the Nation" that Northam has sacrificed too much of his ability to govern. Beyer also says he believes the two women who have accused Democratic Lt. Gov. Justin Fairfax of sexual assault. Beyer says if you believe the women, there is "no choice" but to call for Fairfax's resignation. The congressman says Democratic Attorney General Mark Herring, who also admitted to wearing blackface, has been "very responsible" in owning up to his mistake. Rep. Jennifer Wexton spoke on CBS' "Face the Nation" after the network aired clips of an interview with Northam in which he expressed regret and said he wouldn't step down. Wexton says Northam, also a Democrat, has lost the confidence of Virginia voters and no longer can serve as an effective governor. Wexton also says she expects that Democratic Lt. Gov. 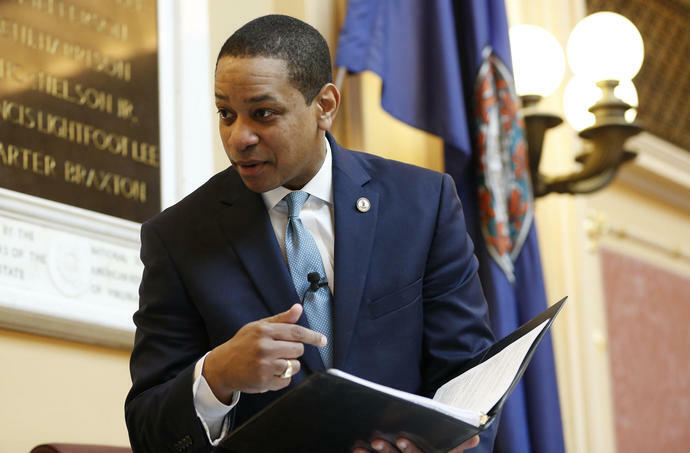 Justin Fairfax will "do the right thing for Virginia and resign," calling the allegations of sexual assault against him by two women "extremely credible." Wexton is withholding judgment on Democratic Attorney General Mark Herring, saying he came forward "proactively" in acknowledging that he, too, had worn blackface as a young man. After ignoring calls for his own resignation, Virginia Gov. Ralph Northam is declining to weigh in on whether the state's embattled lieutenant governor or its attorney general should step down. Northam said Sunday on CBS' "Face the Nation" that it's up to Lt. Gov. Justin Fairfax and Attorney General Mark Herring to make their own decisions. Northam has been ignoring widespread calls to resign. A photo of a man in blackface standing next to someone in Ku Klux Klan robes surfaced in his 1984 medical school yearbook. He denies he's in the photo, but has admitted to wearing blackface as part of a Michael Jackson costume that same year. Virginia's embattled lieutenant governor is urging authorities to investigate sexual assault allegations made against him, but he is not heeding calls to resign and it's unclear what comes next for the once-rising star of the state Democratic Party. At least one state lawmaker is calling for impeachment proceedings to begin, but there's little sign of a broad appetite for impeachment. Lawmakers are set to finish this year's legislative session by the end of the month. If an impeachment hearing does occur, though, an attorney for one of Fairfax's accusers says her client is willing to testify that Fairfax raped her while they were college students in 2000.